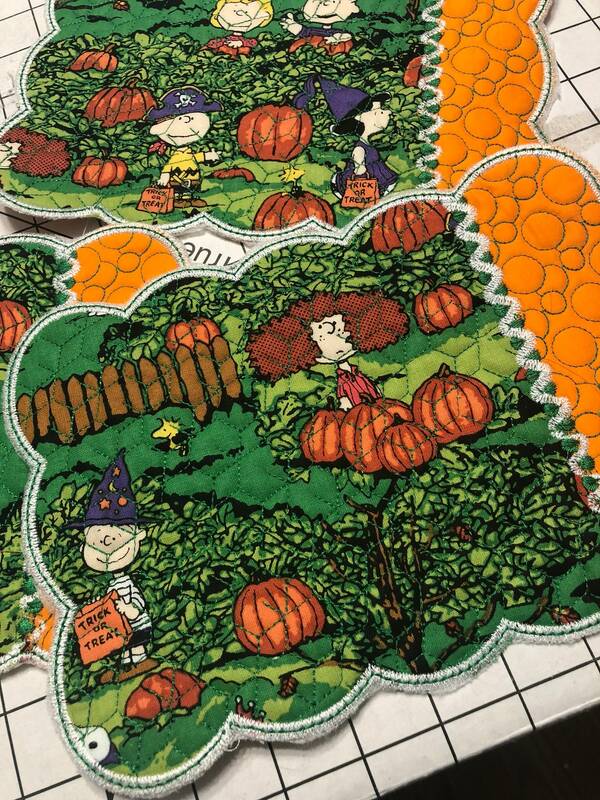 Set of four 100% cotton, washable, 17.5″ x 12″ Peanuts Halloween placemats quilted. Back fabric is black sparkles. 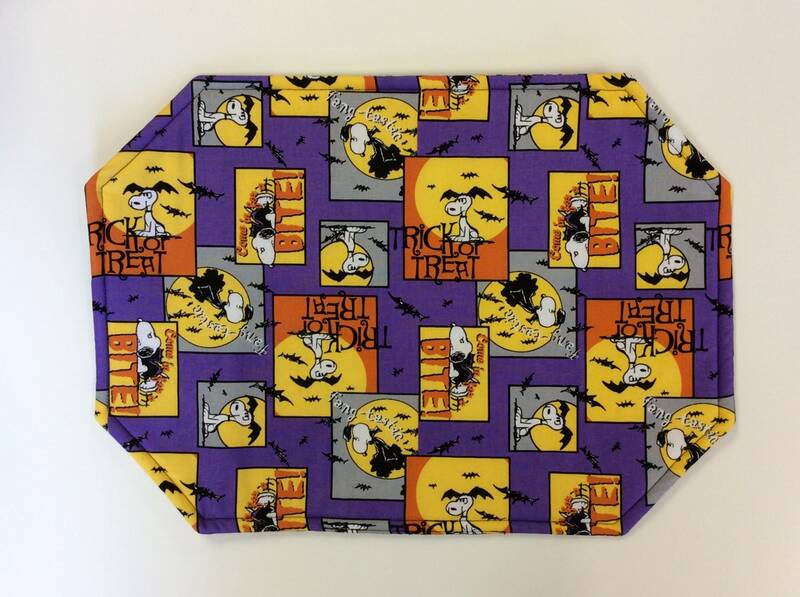 Funny Snoopy Halloween placemats. What is more perfect than Snoopy as a vampire. 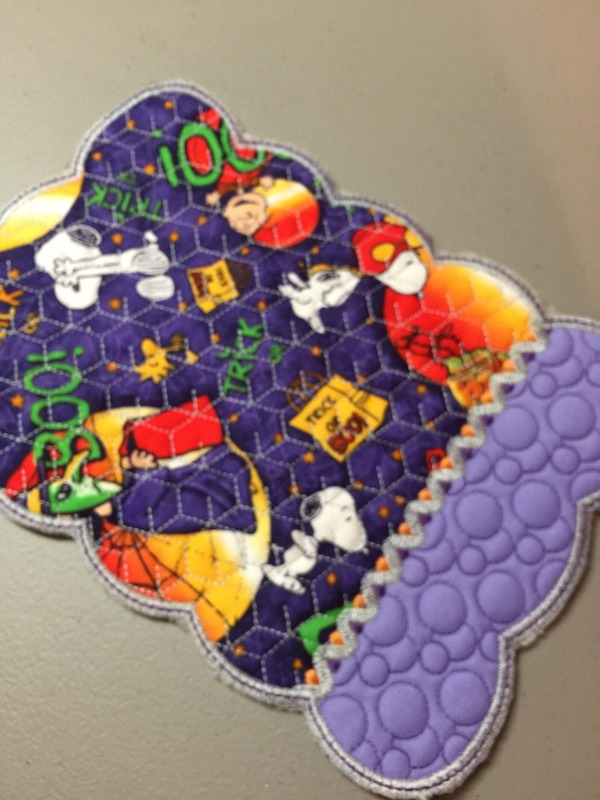 Snoopy is fang- tastic! 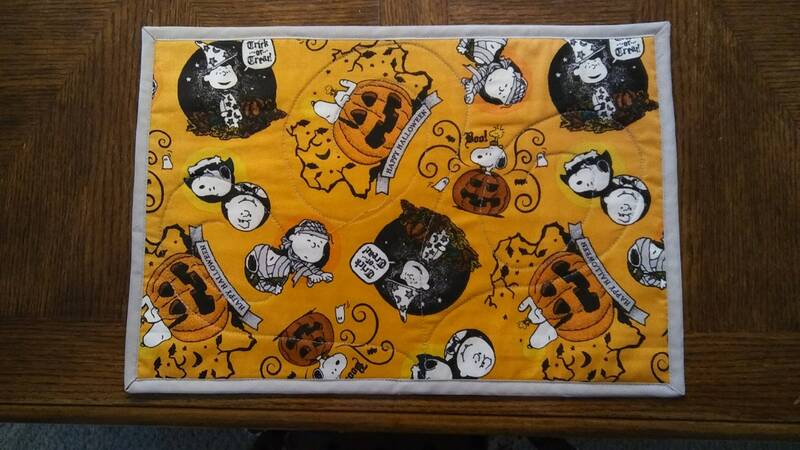 Yummy candy corn print on the reverse. I have angled the edges to give them a nice tailored look. 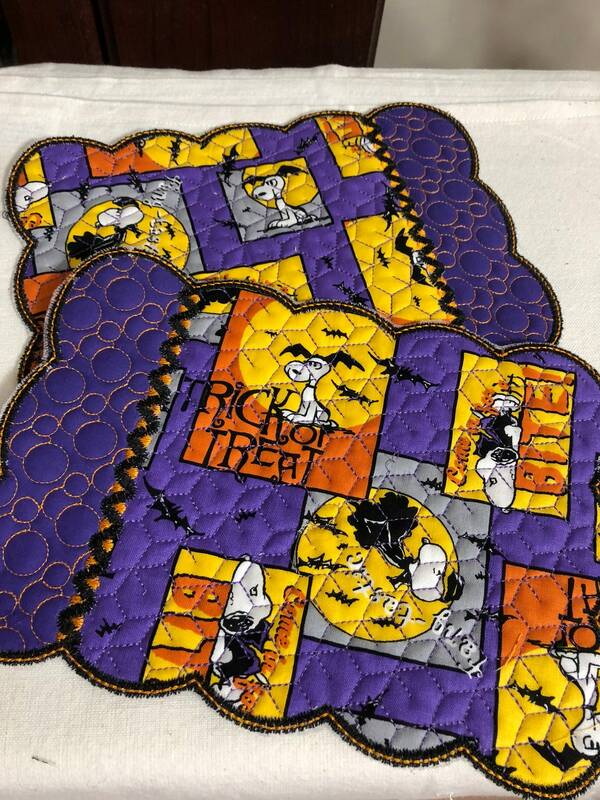 Lined with a polyester fleece interfacing to give them a little thickness and stability.